One thing I love to do, when walking in our city, is looking down at the beautiful pattern cement tiles. These tiles were a big thing way back when. In most of old buildings and houses, these tiles still lay on the floors and I love when the houses or buildings are restored, they keep these amazing tile floors. But, like everything else that was designed one time and was a big hit, has to come back in our present day. 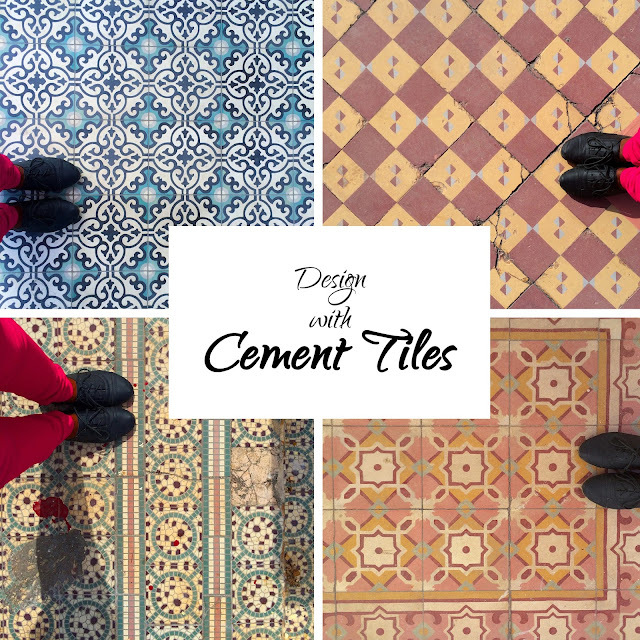 As does these awesome, colorful pattern cement tiles. They are not the cheapest to buy nowadays, but adding them in your space would be very much awesome. On the island we have (as far as I know) two stores where you can buy these. Home21 & LOT1038. I did a store tour on the blog two years ago (already??!!) about Home21. Check it out here. 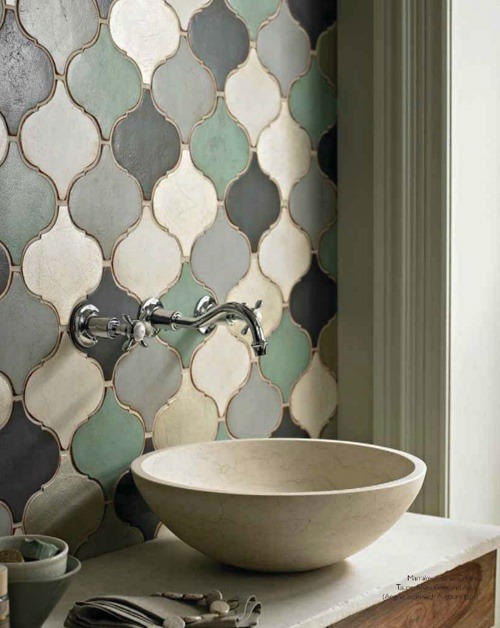 These tiles can be placed on the floor, against the wall and even incorporated in table tops. It's also a great way to combine these tiles with hard wooden floors or with other simple tiles. I'm very much in love with these tiles. 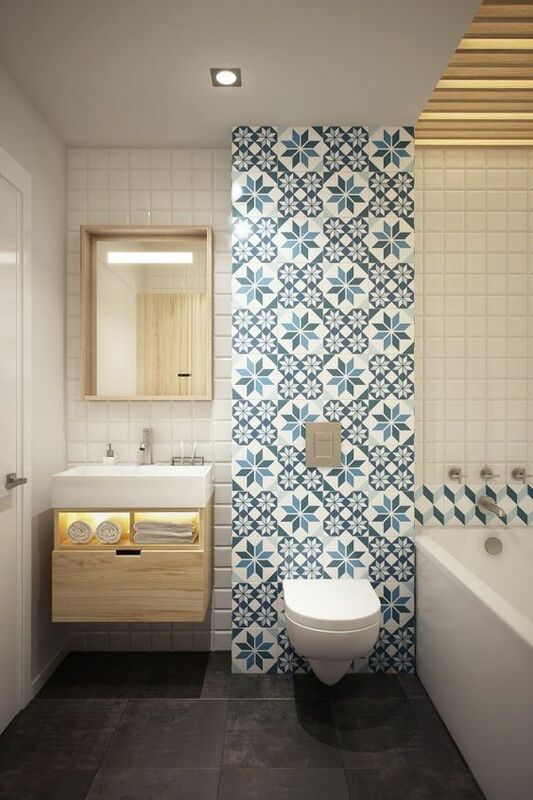 It brings a pop of color or pattern in your space. You instantly get the 'WOW' factor. It depends how wild you want to go with them or just keep it very simple yet very elegant. Don't need to fear the patterns or the colors, because there is a design for every one. Pick a color and pattern that you won't mind living with for the next 10 years and which is also easy to combine with the rest of the home. Try not to go to graphic with the pattern in an old vintage home. So make sure that the style of the house works with the style of the pattern. 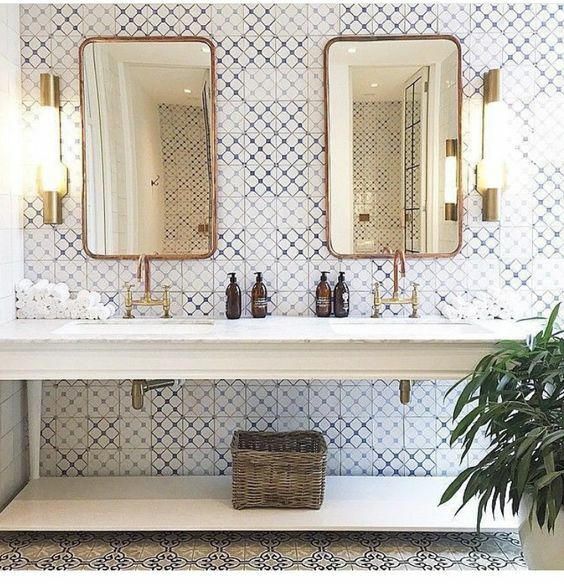 Are you also a big fan of these tiles? Do you have them in your home? Well, then you are on my 'awesome people' list. I'm going to prepare myself for my weekend here. Thanks for stopping by, you guys. Have a lovely weekend and I'll see you back here next week. I love the tiles. We have some of them in our kitchen on the wall. I'd love to add some in our bathroom someday. Krystal, that would be awesome in your bathroom.